So much wood and chrome! 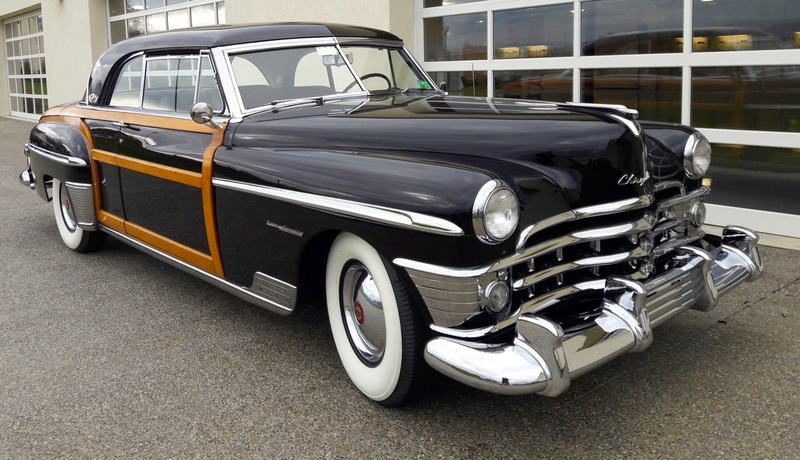 The 1950 Town & Country Newport coupe was the swan song for Chrysler’s wonderful wood-sided luxury cars. 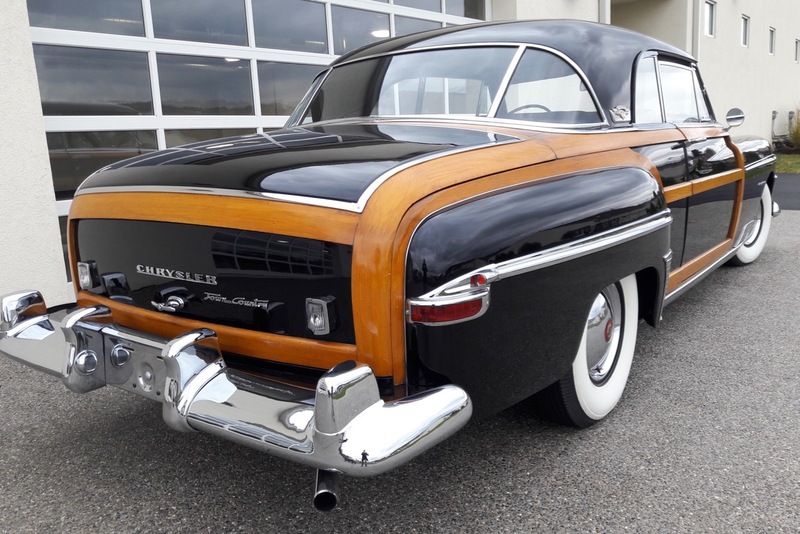 As some of the most expensive models in Chrysler’s lineup, these “woodies” were often the car of choice for celebrities and movie stars. Yet, even the brightest name on the biggest marquee eventually fades away. 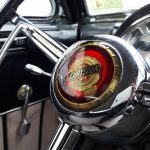 By the time 1950 rolled around, the Town & Country’s time in the spotlight was drawing to a close. 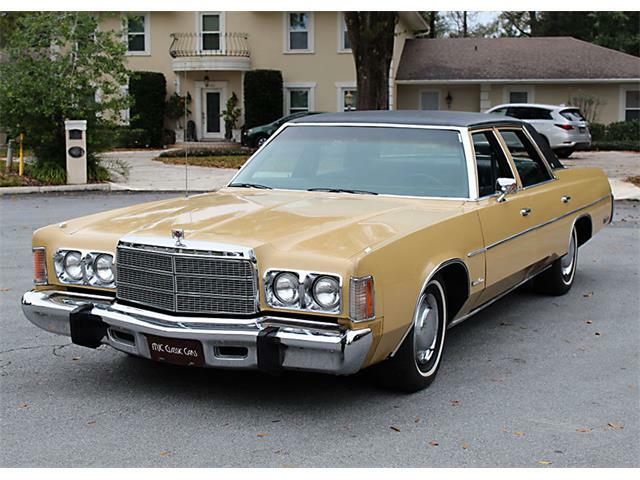 Ironically, despite being in its last year, Chrysler opted to roll out an entirely new variant. 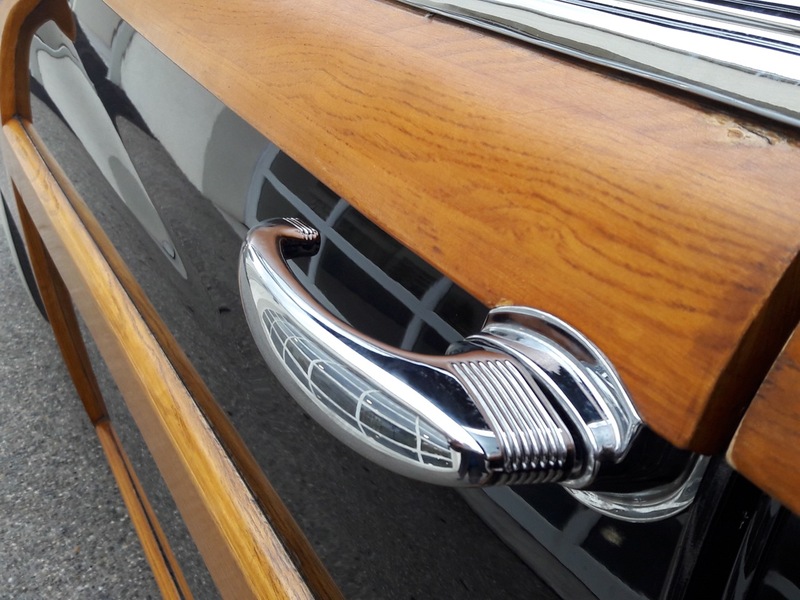 So much elegant wood and chrome! 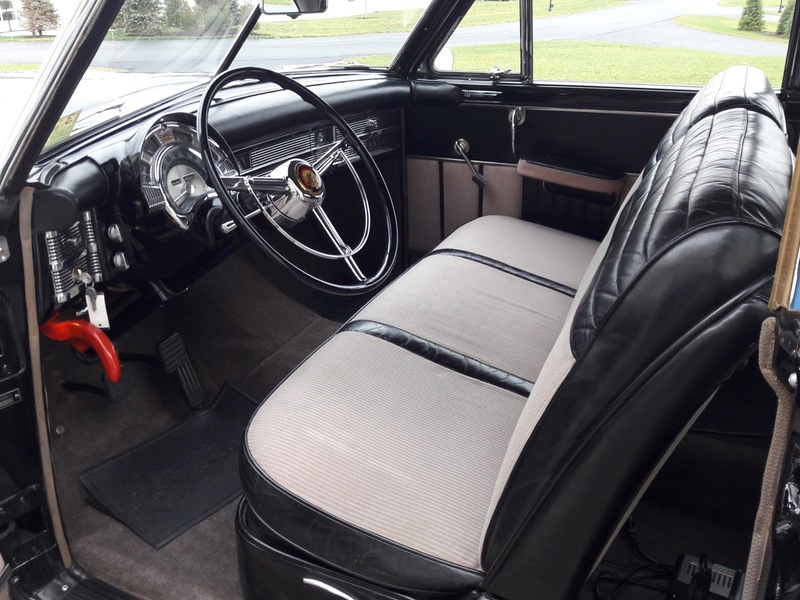 Less than 700 examples of the Town & Country Newport were produced in the model’s final year of production. 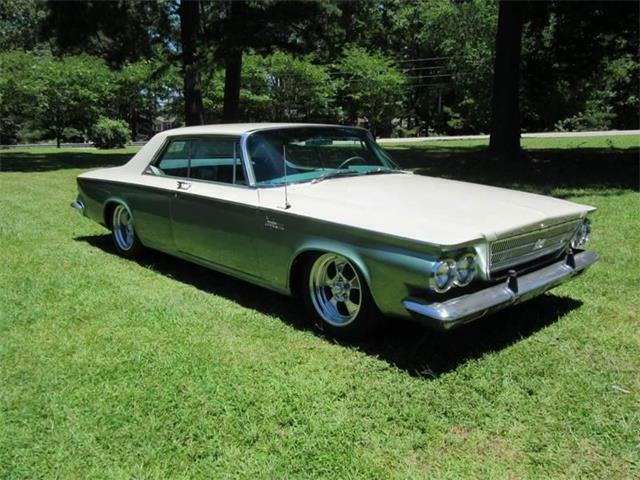 This was the first, and the last, wood-bodied hardtop coupe that Chrysler would build. As you can see, the body of the car combined steel panels with an overlay of white ash. 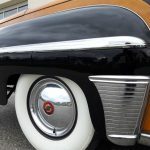 Long before Chrysler tainted the reputation of its wood-paneled masterpieces with newer versions sporting tacky decals and plastic-wood (here’s looking at you K-cars), the last true Town & Country is a glorious combination of old-world craftsmanship and Art Deco design. The ash frames had to be hand-formed to each model, a process that took lots of time and incredible skill. 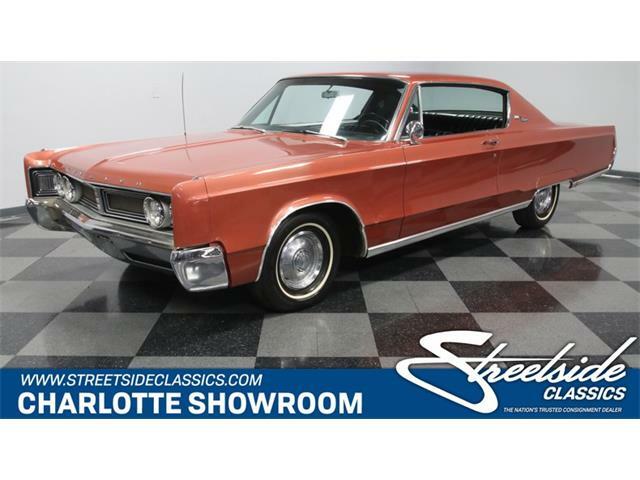 This laborious process also explains the $4,000-plus price-tag this car wore when it was brand new on a dealership lot. 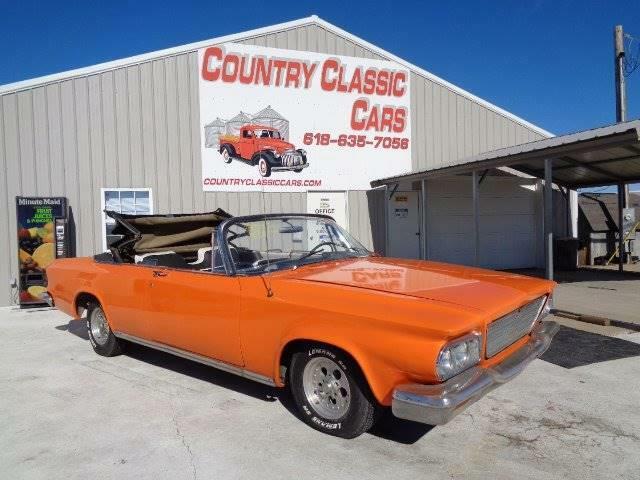 Speaking of dealerships, this particular example has led a very sheltered life, courtesy of the Indiana-based Chrysler dealer who ordered it from the factory. 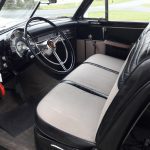 Not only has it covered only 4,100 miles over its 67-year lifespan, the car has \never been titled. 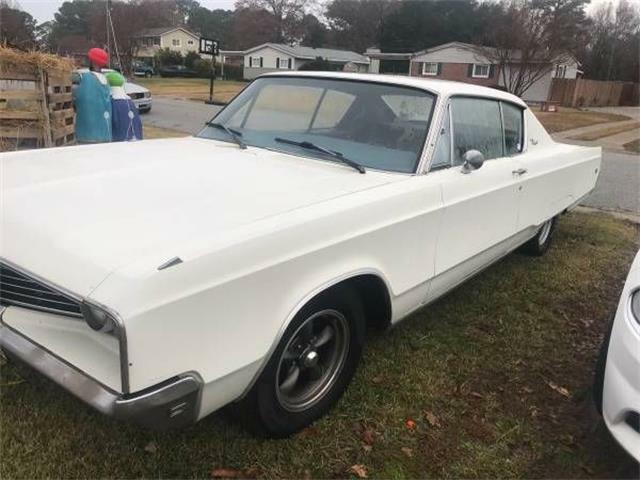 The Chrysler still has its Dealer MSO (Manufacturers Statement of Origin) and sports many other unique details that set it apart. 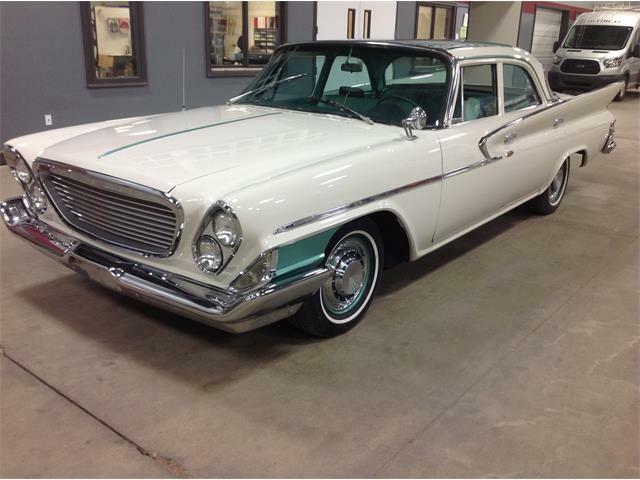 Unlike the majority of Town & Country Newport coupes, this model is fitted with a black top, not the usual white one. 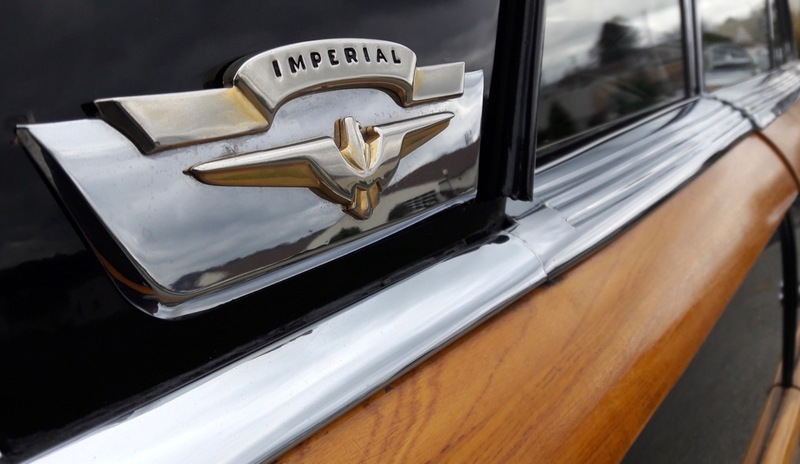 There are also Imperial logos affixed to each C-pillar, a feature not seen on any other example. 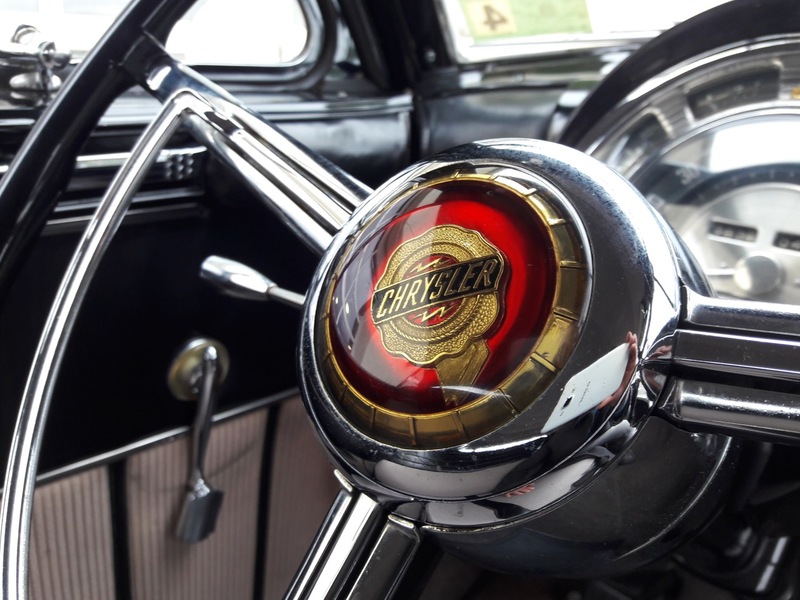 This must have been a one-off custom order, according to the staff at the NB Center in Allentown, Pennsylvania, where this Chrysler now resides. Since joining the Bulgari collection in 2010, this car has remained without a title, to keep the unique provenance intact. That doesn’t mean this stately machine leads an idle life. 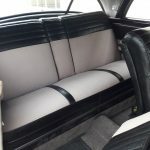 Sliding onto the wide black-and-white front bench seat, you feel as though you’ve walked into the lobby of the Chrysler building in New York City. 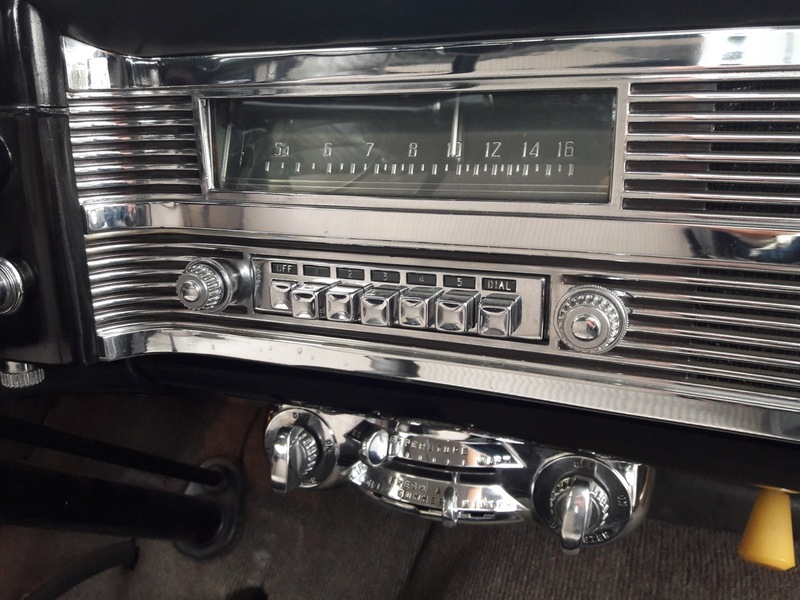 Art Deco design touches are everywhere, from the incredibly over-engineered look of the dashboard and gauges, to subtle fluting on the hand cranks for the windows. 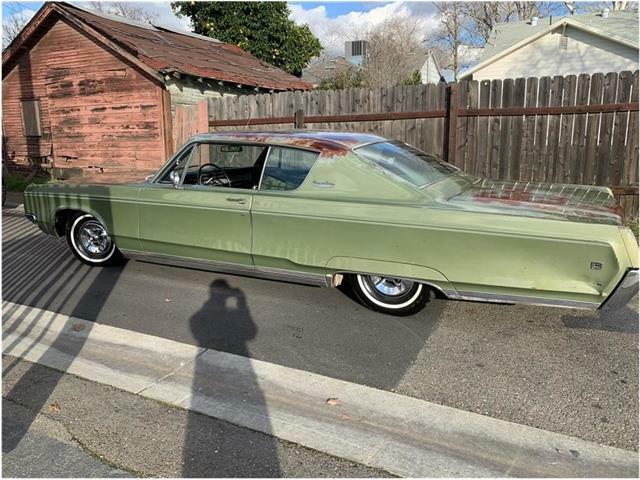 Jet age designs were coming up quickly circa 1950, but this car harkens back to a previous era that didn’t include towering tail fins or flashy tri-color paint jobs. It sure does have chrome, that’s for sure! 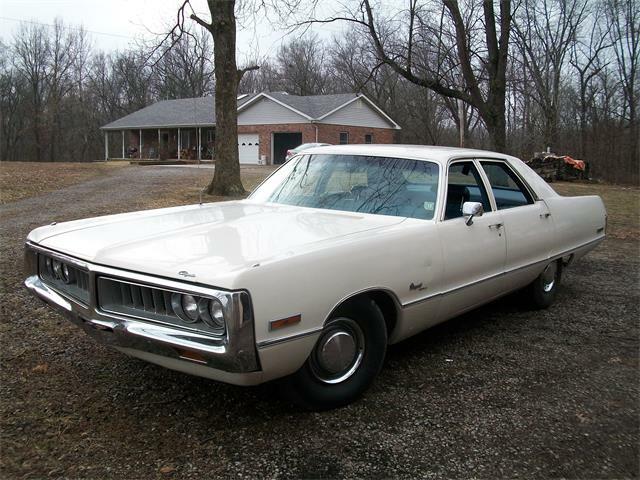 The front and rear bumpers are massive, and streaks of chrome flow along each side of this imposing Chrysler. 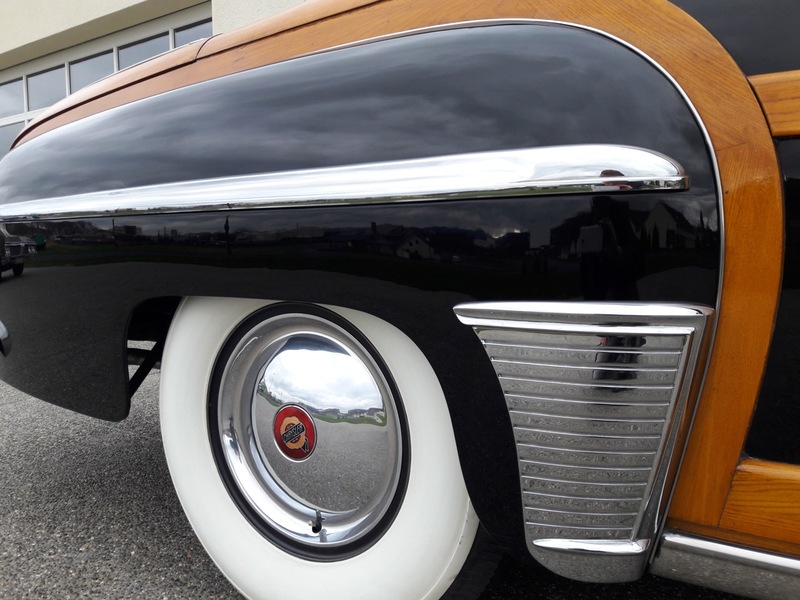 And honestly, do white-wall tires get any whiter, or more charming, than the ones found on this Town & Country? 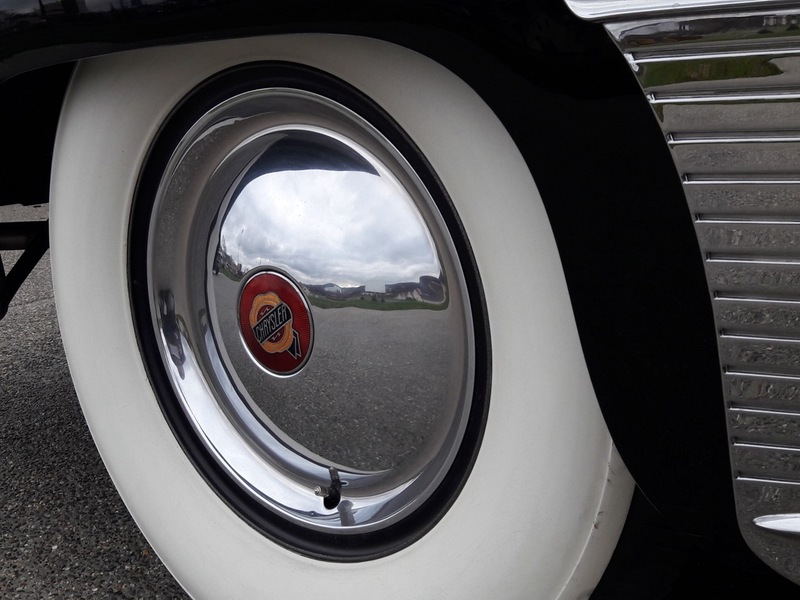 Taking exterior photos of the Chrysler proved an exercise in trying to hide my reflection in the copious amount of shiny metal that covers so much of the exterior. On the private test track at the NB Center, the Chrysler’s refined driving manners are a match for its regal bearing. The car wafts along, riding on a 127.5-inch wheelbase as we twirl the giant steering wheel while navigating the course. 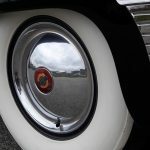 Unlike several others cars we’ve driven on the track, there were no tire squealing antics performed in the Town & Country. 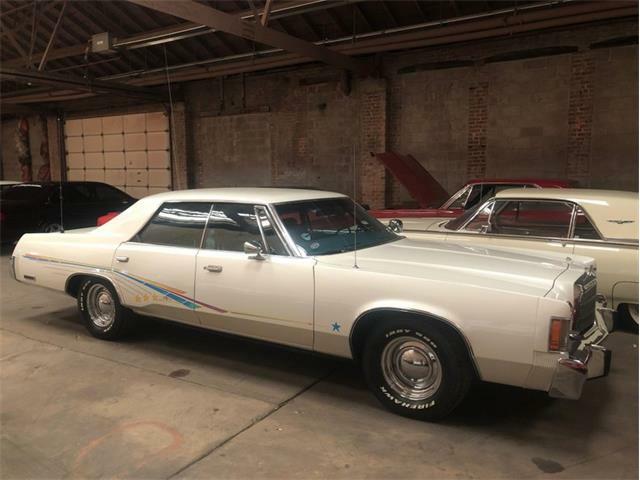 While we don’t doubt the 135-horsepower, 323.5 cubic inch inline-8 and Fluid Drive transmission can get the job done with plenty of gusto, it simply didn’t seem fitting to drive like a hooligan in such a classy automobile. Mastering the Fluid Drive gearbox does take a little practice. 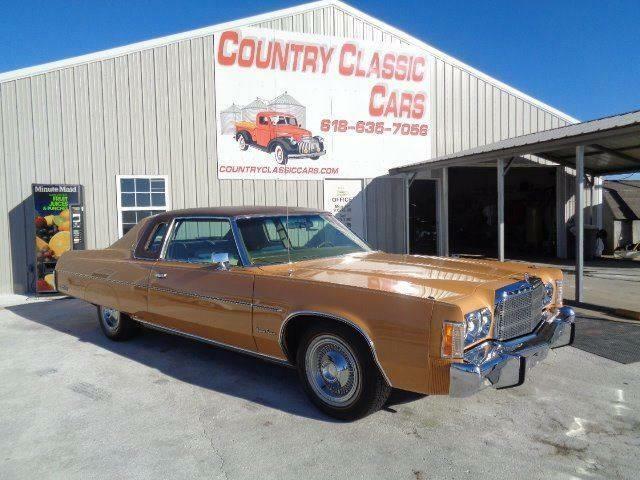 You can sum up this transmission as being a half-step between a manual and full automatic. 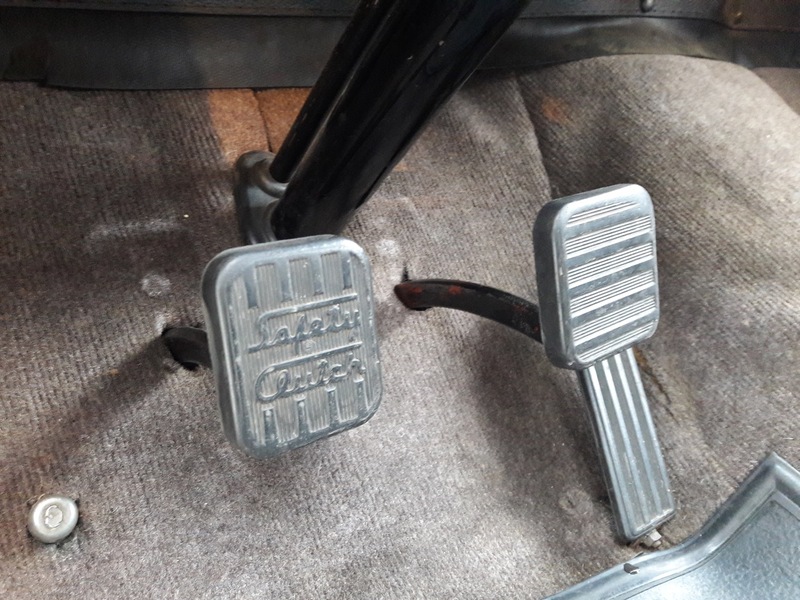 The clutch pedal is primarily used to get the car rolling from a dead stop. The peculiar thing is you don’t have to feather it much at all, the process is much more of a ‘step on’ and ‘step off’ affair. You feel like you’re being rough on the car, but it works every like a charm every time. 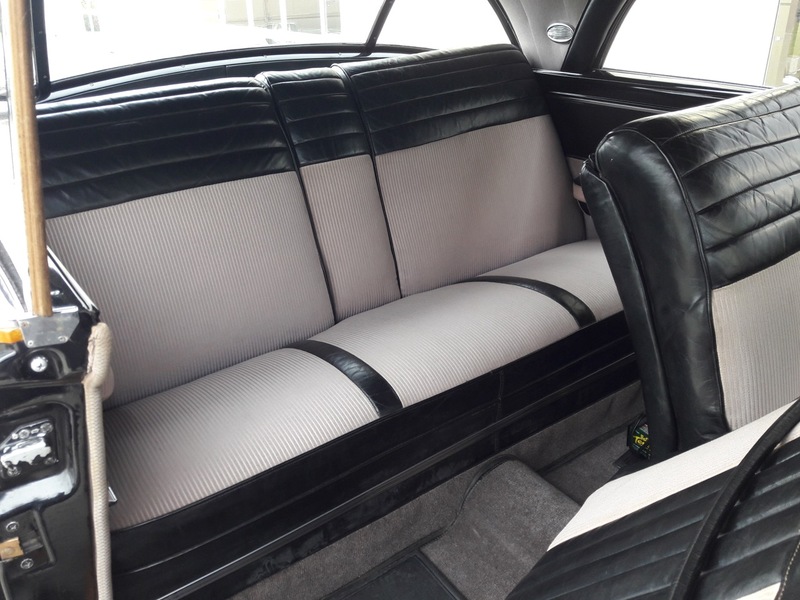 Once rolling, you can ignore the clutch pedal and swap through gears using the column mounted shifter. 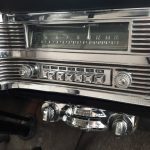 There are some noticeable “thunks” when changing gears, though we were assured the noises were absolutely normal for this quirky transmission. The Chrysler Town & Country Newport feels like it should be pulling into a country club, or a posh movie premiere with a starlet perched on the passenger seat. 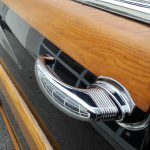 Steeped in style and class – not to mention that hand-crafted ash wood – this is a classic car that knows how to make an entrance.